From self-driving cars to voice recognition, much of the intelligent tech we see today is based on machine learning. If you would like to learn more about this fascinating topic, the Complete Machine Learning A to Z Bundle is a great place to start. The bundle includes nine courses and 30 hours of hands-on tutorials, showing you how to develop intelligent apps from scratch. You can get it now for $35 at the XDA Developers Depot. As the name suggests, machine learning is the technology that allows programs to learn and grow. Developers with knowledge in this niche are in demand. This bundle helps you gain a working knowledge of machine learning through fun projects. Along the way, you will learn how to build neural networks, intelligent chatbots, and even your own Alexa-powered smart assistant. The tutorials start from scratch, explaining how machine learning works. 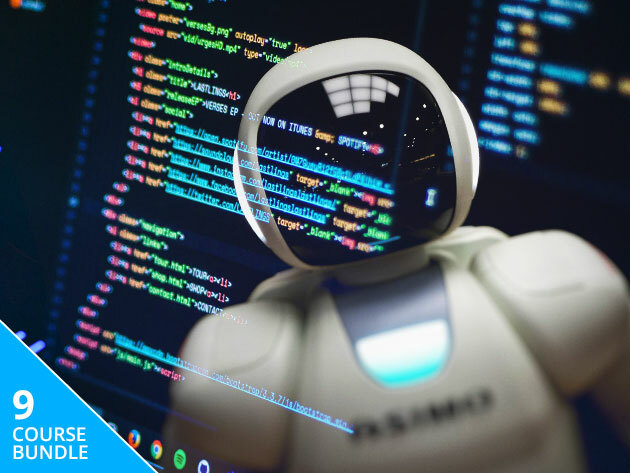 You then dive into the tools used by professional AI developers and data analysts, including Spark, Google DialogFlow, Amazon Lex, and more. At the same time, you pick up some useful Python programming skills. With this knowledge under your belt, you can start creating your own intelligent apps or work towards a career in development. Worth $891 in total, the training is now only $35 with this deal.